Building and Pest Inspection in Brisbane Outer South East - Ormeau, Crestmead, Shailer Park, Slacks Creek and surrounds. As a licensed property, timber pest and pool safety inspector, Aaron provides the best quality inspections available , communicating to parties professionally and fast. 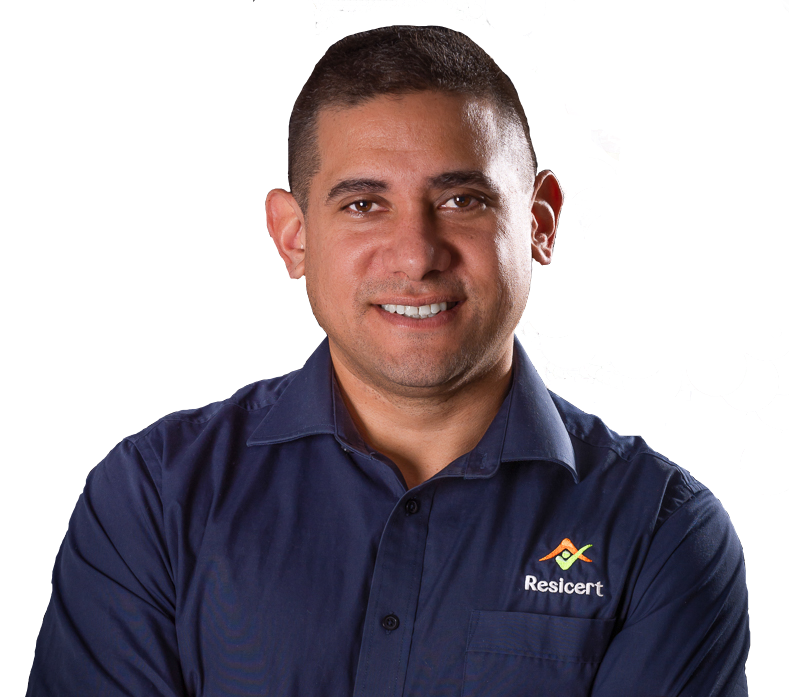 Taking pride in his work, his inspections are 100% backed by Resicert’s money back guarantee, something not many can offer. Attention to detail is a quality needed in Queenland’s best inspectors and proof of this can often be found in their hobbies and background. Aaron is no exception, having flown light aircraft, skydived and made a name for himself managing infrastructure, people and projects in the technology and manufacturing industry. But, his family roots are in the building industry and the property market called, so he attained all his accreditations. Aaron is now a popular figure in Brisbane’s outer south east, rapidly gaining a reputation with some of the area’s best agents and mortgage brokers. When he’s not busy doing inspections, he spends quality (and fun) time with his wife and two boys. A love of cooking keeps the family guessing what is next on the menu, now that dad has more time to experiment new and interesting foods. Resicert allows me to spend more time with my family. When I am at work I meet amazing and interesting people, with the privilege of being invited into peoples’ homes to experience all kinds of interesting building styles and techniques, old and new.